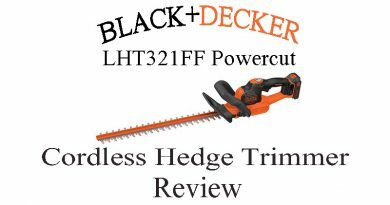 When purchasing a trimmer one of the most important questions to ask yourself is, “Does this trimmer have the power to do the job at hand?” With a 3.3-amp motor, a 24-inch blade the ability to cut branches up to ¾ of an inch and a 180-degree rotating handle you will find there are not many jobs the Black & Decker HH 2455 Corded Hedge Trimmer is incapable of tackling. 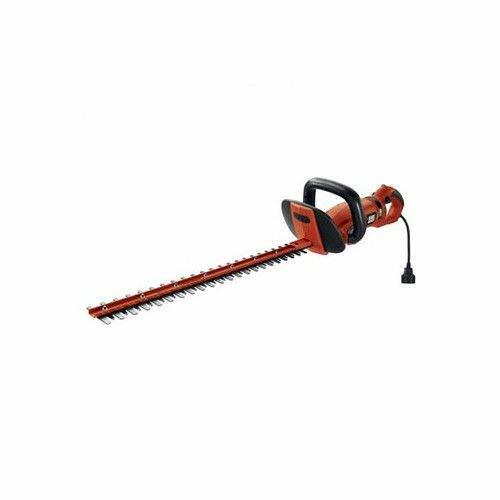 If you are a property owner with a variety of vegetation and trimming needs, the Black & Decker HH 2455 may be the best hedge trimmer on the market to meet your needs. The 3.3-amp motor found in the HH 2455 is not as large as some other similar models. Despite a smaller motor, our review found no decrease in performance or cutting power. In fact, the opposite was true. During our review, we found only positives about the cutting power of this trimmer. The HH 2455 comes with a 24-inch cutting blade. This length of blade is one of the longest available. The long reach of the blade will make cutting and trimming large ornamental shrubs a snap compared to shorter blades. The long cutting surface also means trimming jobs take less time overall. Also helping with large trim jobs, is the rotating handle feature of this model. The HH 2455 has a handle that rotates 180 degrees. This allows you to easily trim both horizontal and vertical vegetation. This would be an important to property owners who have a variety of vegetation on their property. For example, at if your home has large fat ornamental evergreen bushes as well as tall vertical hedges for privacy. 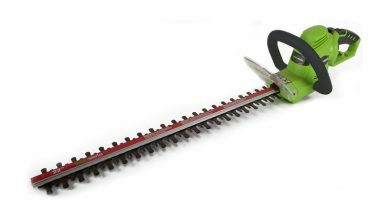 The long 24-inch blade with rotating handle would make tackling both kinds of shrubbery easy and comfortable. This would be an improvement from some shorter blade or stationary handle configurations found on similar trimmer models. In addition to the rotating function of the handle, the Black & Decker HH 2455 has a full-size padded handle as well. This allows for a comfortable grip with the front hand while trimming. The padding minimizes hand, arm, and chest strain while the wrap around nature of the handle allows for multiple hand positions. This will increase comfort of the user as the trim at different angles. The Black & Decker HH 2455 has a stainless-steel dual action blade. This design not only increases cutting ability but decreases vibrations. According to the manufacturer, dual action design means the HH 2455 has 40% less vibration than single blade Black & Decker trimmers. The decrease in arm strain this provides will matter if you have a big job or do extensive trim work. Unlike many other trimmers on the market, the HH 2455 has a power lock on switch. This allows you to keep the blades engaged while trimming without the need to maintain pressure on a button or switch. A power lock on switch is both a positive and negative feature. On the positive side, the user does not need to maintain pressure on the power switch at all times while using the trimmer. Many find this need uncomfortable. But negatively, power lock on can be a safety concern. It is easy to image having an accident and dropping the trimmer. Unlike other trimmers, the blades would remain engaged with this model. This could lead to further extensive injuries. To help prevent accidental engagement of this feature, it also features a lock off switch. When the lock off switch is engaged, the blades cannot be turned on. As a reminder, as with most electrical hedge trimmers, the HH 2455 does not come with a built-in cord. For this trimmer to operate you must also purchase the corresponding extension cord. This trimmer will not function unless you have that cord and have the trimmer connected to an electrical source at all times. The HH 2455 requires a 12-gauge extension cord. The HH 2455 comes with a manufacturer 30-day money back guarantee and a 2-year warranty. 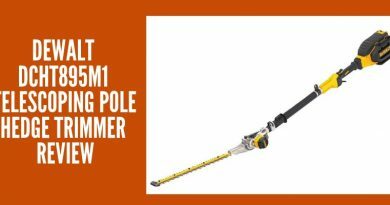 Both are standard industry wide but are nice features to have on any power tool purchase. In terms of customer service, the Black and Decker online service support was not as easy to navigate as some other makers of hedge trimmers. Finding answers to questions required drilling down multiple menu levels. Further, unlike some websites service and support options were not all neatly laid out on a single landing page. Instead you had to check a page for questions, a page for parts, a page for contact and a page for authorized dealers. While online support options are somewhat cumbersome with over 150 owned dealers worldwide plus additional authorized distributors Black and Decker offers in person support options most other makers do not have. Finally, a key feature of all electric trimmers is that the user is not exposed to any toxic emissions or fumes at point of use. While the manufacture advertises the lack of fumes at point of use, it is important to remember that generation of electricity itself produces emissions. Use of an electric trimmer only changes the creation of fumes and depending on your electrical provider perhaps creates fewer emissions than the use of a gas-powered trimmer. As with any purchase, there is no perfect hedge trimmer. 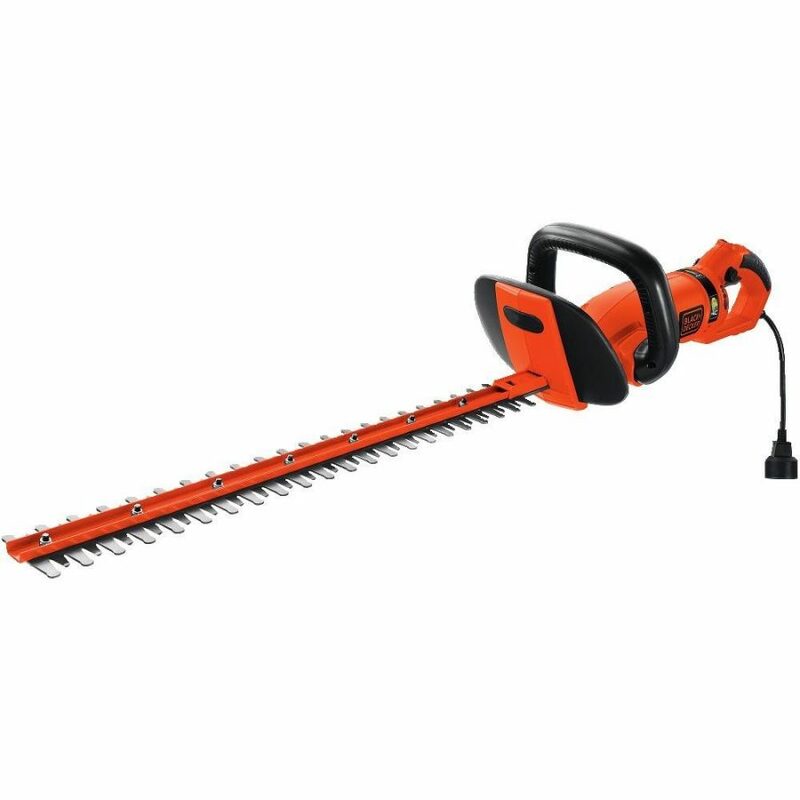 But there is a perfect hedge trimmer for you and your needs. When evaluating here are some pluses and minuses for the Black & Decker HH 2455. With a 24-inch blade, this trimmer offers one of the longest reaches of any trimmer on the market. 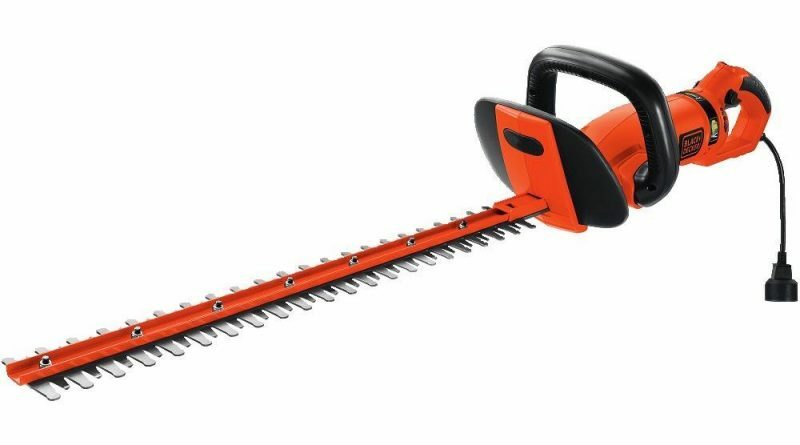 HH 2455 has the capacity of cut branches up to ¾ of an inch in thickness. This is one of the thickest cutting capacity on the market. The dual action blade of the HH 2455 has reduced vibration 40% over single blade trimmers from Black and Decker. This is an electric trimmer and thus must be connected an electrical outlet at all times to function. If you have a large property or do not have sufficient outdoor outlets, this trimmer will not work for your needs. With a suggested retail price of over $20 more than similar models, the HH 2455 is a costly. While the wide range of tasks it can tackle may make it a worthwhile investment, property owners with smaller or less varied trim jobs could be better served by more economical options. The HH 2455 has a power lock option that many other trimmers lack. Despite the ease of use created by this function, there are still safety concerns with this feature. The risk for injury is there if you lose control of the trimmer since the blades will not automatically stop like other similar models. Online customer support from Black and Decker is not as user friendly as other manufacturers of law and garden equipment. 24-inch blade, ¾ inch cutting capacity and 180 rotating handle really to make this a work horse of a trimmer. 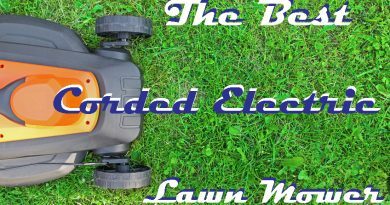 But it is still corded thus you must have easy access to an outdoor power source to harness the power of the Black & Decker Hedge Hog 2455 Corded Hedge Trimmer. 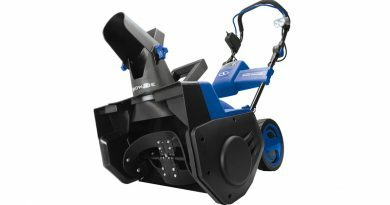 For homeowners with varied trimming needs this could be the perfect trimmer. The features are hard to be beat but for those with less varied jobs a similar less costly model may be a better investment.